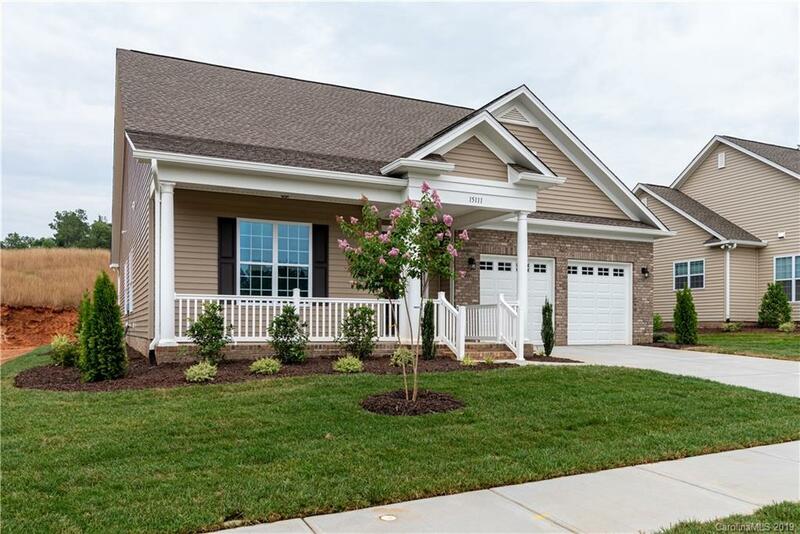 The Bailey’s Glen development includes plans for 372 homes and 96 condominiums on 145 acres in a beautiful suburb near Charlotte called Cornelius. 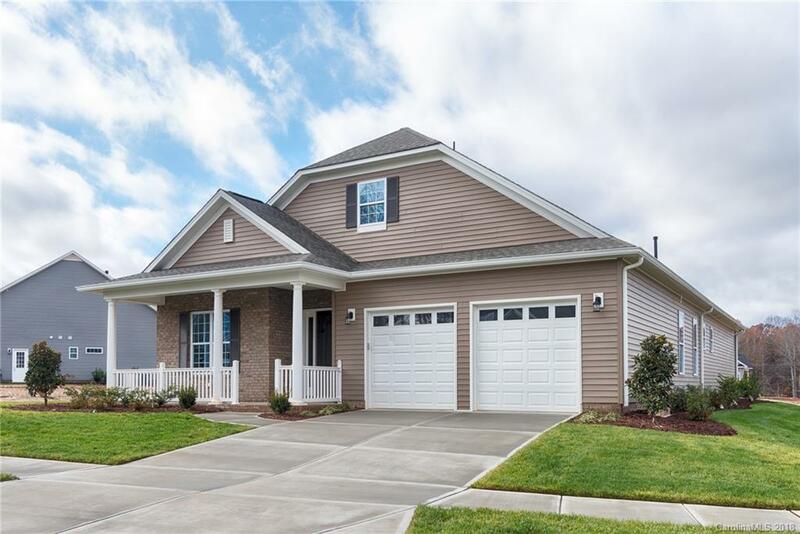 Homebuyers can choose from 18 ranch-style floor plans offered in four home collections starting from $249,900 ranging from 1,300 to 3,400 square feet. Take advantage of the “FlexiBUILDity” floor plans offered by the builder, South Creek Homes. Amenities in Bailey’s Glen include a 12,000 square foot clubhouse with a full-time, on site Lifestyle Director, two pools, five pickleball courts, tennis courts, a putting green, golf driving cage and croquet and bocce ball courts. The clubhouse will include a fitness center that offers exercise classes, special interest clubs, sports leagues, arts and crafts rooms and multi-purpose spaces. The community plans include seven pocket parks, walking and running trails. 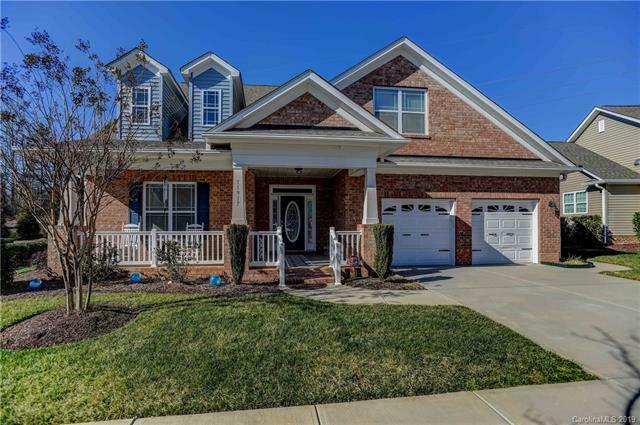 Located in Cornelius, NC this community is just minutes away from Lake Norman. This cozy plan is a great value with three bedrooms, an open floorplan and plentiful closet space. Enjoy the easy to manage kitchen which opens to a great room, dining area and breakfast bar. The Master bedroom offers his and her closets and plenty of wall space for placing furniture. Available with optional screen porch or sunroom, this home is perfect for anyone looking to simplify and downsize. This home welcomes you with a great front porch and inviting curb appeal. With original Craftsman design the family room is situated just off the foyer. The large-size breakfast bar will surely become the gathering place for this charming house. Easily convert the study into a third bedroom for visiting guests or grandchildren. The Rachelle is a spacious well-priced home with great curb appeal and living space. As you enter from your covered front porch, you are welcomed by the oversized foyer, guest room and/or office. The large family room and cozy dining area is served by a spacious kitchen and breakfast bar. The large master suite offers his and her closets and an option for shower or tub combo and double sink vanity. The Amelia is a cozy two-bedroom ranch with two baths. The large covered front porch opens to the great room with optional fireplace and built-in bookcases. The kitchen opens into the dining room with large windows overlooking the outdoor patio. A spacious master suite features a large walk-in closet. The Parker has a beautifully designed covered front porch with columns. The foyer leads to the formal dining room and bright great room with large windows overlooking the outdoor patio. The spacious kitchen with pantry opens to the great room. The master suite has a large walk-in closet and double sinks in the bathroom. The Hunter is an adorable three-bedroom, two-bath home with a quaint covered front porch. The spacious great room opens to the kitchen and dining room that has walls of windows overlooking the outdoors. At night, retire to the comfortable master suite with an oversized walk-in closet. The Caroline is an exquisite three-bedroom, two-bath ranch home. The formal foyer leads to an impressive great room and formal dining. Beyond the great room is the kitchen/breakfast with large walk-in pantry. The private master suite with large walk-in closet overlooks the rear patio. Step into the relaxing great room from the spacious covered front porch. The Nicholas is a two bedroom, two-bath home that features a formal dining area and large kitchen with eat-in breakfast room overlooking the patio. Enjoy the privacy of the large master suite with an optional luxury bath. In addition to the great features of the Nicholas Plan, the Nicholas Loft includes a second floor bonus room and guest suite with full bath. This plan is ideal for visiting family and friends. The Noveen has a spacious covered front porch leading to the foyer adjoining an elegant formal dining room. Down the hall, enter a very large great room with access to the kitchen and breakfast nook. A study, guest bedroom and large master suite complete this home. If you need extra room, this plan is of great value. In addition to the included features of the Noveen, the Noveen Loft adds a second floor, guest suite with full bath and large game room for entertaining, in addition to plenty of storage. The Peyton is a magnificent three-bedroom, two-bath ranch home with a large great room and fireplace. The spacious owner suite has a large walk-in closet and is convenient to an extra bedroom that can be an optional study. An abundance of windows invites the natural surroundings inside, while a gracious front porch and rear patio create wonderful spaces for outdoor living. The Grayson is a charming home that features an exquisite view from every direction. Columns accent the front porch, while a series of windows ushers light throughout the house. The kitchen opens to the dining and great room, all with access to an outdoor covered patio. The grand master suite overlooks the backyard, and the adjoining full master bath has all the amenities you would expect. This home has several options to add additional living space. The Morgan features a stunning entrance welcoming guests with a large formal foyer that flows into the family room and gorgeous dining room. The spacious kitchen with breakfast area and E-Space overlooks the great room, fireplace and covered patio. The master suite has his and hers closets and spacious master bath. The home has the option for adding outdoor living where your guests will enjoy the beautiful stone fireplace. Become instantly immersed in tradition as you step into the Addison. An elegant foyer leads into a spacious great room overlooking the kitchen. The large dining room with walls of windows overlooks the patio and backyard. Pamper yourself in the master suite and luxury bath with large his and her walk-in closets. A hobby utility room along with two bedrooms and full bath completes this unique home. The Preston is an impressive three-bedroom ranch inspired with modern amenities that utilizes space most efficiently. Enter through the foyer and enjoy an open view of the formal dining room. The spacious great room with gas fireplace opens directly into the kitchen and breakfast room. Escape into the wonderful master suite complete with luxury bath and his and her walk-in closets. Style and charm accent the Patterson. Enter the elegant foyer leading to an open formal dining, great room and kitchen. The large covered patio can be converted to an optional screen porch or sunroom. Find seclusion in the master suite complete with separate walk-in closet and private luxury bath. Greet family and friends on the covered entry porch of the Carson. Enter through the foyer to a stunning great room and formal dining. The large kitchen is perfect for preparing elegant parties or casual gatherings. The lavish master suite is privately located at the rear of the home with access to the covered porch. Enjoy spacious his and her walk-in closets as you enter the luxury bath. Take advantage of the oversized two-car garage with storage. Feel the grandeur of the Bryson as you enter the foyer overlooking the formal living and dining room. An incredibly spacious great room with fluid entry to the kitchen and breakfast room is ideal for entertaining. Relax in the privacy of the master suite with large walk-in closet and luxury bath. Take advantage of the oversized utility room for all of her arts and crafts, while the two-car garage also has an extra room ideal for his hobby space.